We are a team of fuel draining experts that can help you out in case you accidentally fill up your car with the wrong fuel type. This issue can cause a lot of problems and we can help you get back on the road as soon as possible. 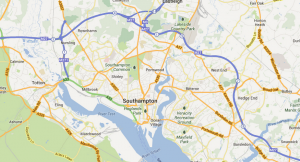 We operate a mobile fuel draining unit based in Southampton that can be at the scene in less than 30 minutes and can help you get back on the road in one hour. There aren’t even any costly repairs involved as our team has all the necessary equipment to help you out. Fuel draining in Millbrook: A young office worker was returning home in the late evening and he stopped to refill his car at the Shell Petrol Station on Redbridge Road. Only later he realized that he used the wrong fuel type and his Ford Focus broke down on Cuckmere Lane. We managed to get to the scene in 30 minutes and successfully get the car running in an hour. Fuel draining in Portswood: Filling up her VW Up at the Esso Petrol Station on Lodge Road, a woman accidentally used diesel instead of petrol and found herself stuck on Sirdar Road later that day. We were called at the scene and we quickly got there to get the car back on the road in an hour. Fuel draining in Highfield: Our team was called in to assist a broken down Mercedes-Benz E-Classe on Winn Road. The owner filled it up earlier at the Shell Petrol Station on Burgess Road with the wrong type of fuel, by mistake. Fortunately, we managed to get to him in 30 minutes and get the car fixed within the hour. Fuel draining in Totton: The young driver of an Audi A3 found herself stuck on Calmore Road after accidentally filling up her car with the wrong fuel at the Esso Petrol Station on Ringwood Road. Our mobile unit arrived at the scene shortly and got her car started again in less than an hour. Fuel draining in Romsey: The mother of two was returning home from her son’s football game when she stopped to fill her diesel Ford Focus C-Max with fuel at the Texaco Petrol Station on Salisbury Road. Unaware that she filled it up with petrol, the car stopped working on Bakers Grove from where she called us. We arrived there in 30 minutes and managed to get the car running again shortly after. Fuel draining in Winchester: A young businessman was driving home from his office one evening when he stopped to fill up his car with fuel at the Sainsbury’s Petrol Station on Badger Farm Road. In the rush, he filled his BMW 520d with petrol and only a few miles away from home, on Romsey Road, his car broke down. He called us from there and our mobile unit arrived at the scene in less than 30 minutes and managed to get his car running again in one hour. Need help with your misfuelled car? You will need professionals from companies that remove wrong fuel, like us here at Fuel Expert. Our 24/7 service and capabilities to work on just any car model have managed to gain us over 5,000 happy customers. 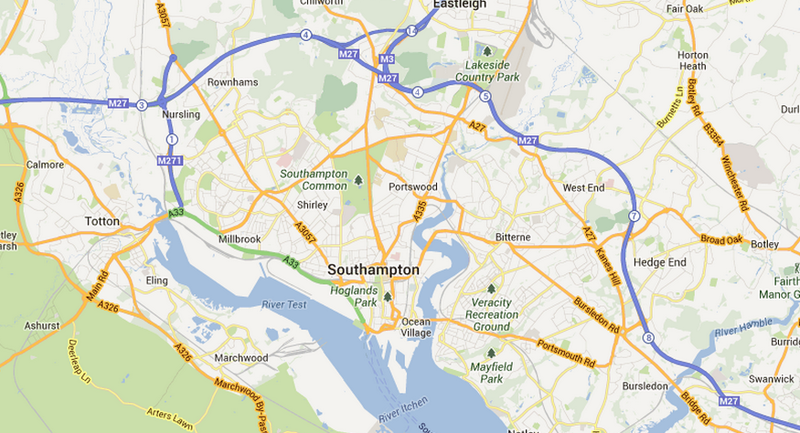 If you’re in the Southampton area, we can come to you in 30 minutes or less. We know the area and the filling stations and we’d like to keep our reputation as a reliable wrong fuel removal company. Fuel drain Totton SO40. The main office sent us to the Totton Service Station on Ringwood Road and found our customer’s Volvo XC60. It had 15L of petrol in it, which we easily drained in 30 minutes, impressing the customer and the station’s crew. Fuel drain Hythe SO45. A dog owner just came from The Pet Healthcare Centre when his Honda stalled at the School Road. His memory then freshened up and he recalled that he filled his car with petrol, but we got it back on the road in less than an hour. Fuel drain Chilworth SO16. Our Sunday evening ended fine after receiving warm hugs from a loving couple as thanks for fixing their misfuelled Ford right on the Botley roadside. We even did it in 50 minutes, 10 minutes earlier than our estimated hour-long repair. Fuel drain Bursledon SO31. Our crew drove over to the Tesco station on Hamble Lane and found a misfuelled school bus. We got several rounds of applause from the kids after we finished petrol in diesel removal in 40 minutes. Fuel drain Shirley SO15. We worked two times as fast on a customer’s Honda when we heard an elderly passenger needed to get home fast to take her medication on time and finished the wrong fuel removal in just 30 minutes. Fuel drain Hedge End SO30. Our team was welcomed warmly into the Sainsbury’s Petrol Station by a huge family of ten travelling together. A family member’s Skoda Roomster had petrol in it, which we drained within 35 minutes. Fuel drain Eastleigh SO50. A customer frantically told us over the phone how her BMW had petrol in it while refuelling at the Eastleigh Service Station, but we assured her everything’s going to be fine. We just kept explaining our fuel draining process to her, which helped her take her mind off the BMW. We repaired it in an hour anyway. Fuel drain Millbrook SO15. Munro Crescent became our temporary garage as we siphoned 33 litres of petrol from a Jeep Cherokee at 4pm and completed the entire process before 5pm. Fuel drain Rownhams SO16. We earned the heart and loyalty of another customer on Horns Drove after we fixed his topped up Jaguar X-Type in an hour, saving it from any permanent damage.